Indian cinema, popularly known around the world as Bollywood, has carved its niche because of its stories and music. Bollywood, over the years, has not just entertained the Indian audiences but has also garnered a lot of love and support from the world audience. Taking this thought forward, we bring to you the biggest Bollywood extravaganza of all times - SLAM! THE TOUR (STT). SLAM! 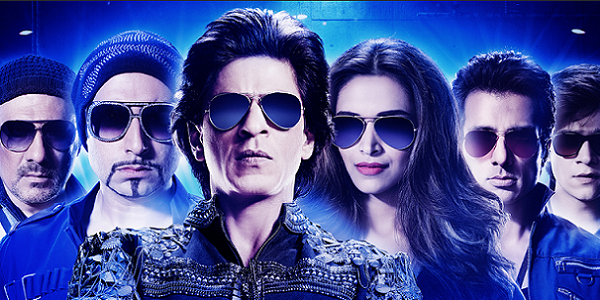 THE TOUR is coming to your city with the biggest Bollywood stars and a promise to entertain you like never before. So get ready to shake a leg with Mr Shah Rukh Khan (Actor/Producer), Mrs Farah Khan Kunder (Director/Actor), Ms Deepika Padukone (Actor), Mrs Malaika Arora Khan (Actor), Mr Abhishek Bachchan (Actor), Mr Boman Irani (Actor), Mr Sonu Sood (Actor), Mr Vivaan Shah (Actor), Ms Kanika Kapoor (Singer) and Mr Yo Yo Honey Singh (Singer/Actor). "I am blessed to get a lot of love and support from people around the world. This is our way of giving this love back and thanking you all. I am super excited and looking forward to being in your city along with the director & the cast of our next film Happy New Year and my colleagues Farah, Deepika, Malaika, Abhishek, Boman, Sonu, Vivaan, Kanika and Honey Singh. We promise you an evening of love, laughter and entertainment. So mark your calendar and be there at SLAM! THE TOUR," said SRK. The actor will be performing in USA after a gap of 10 years.